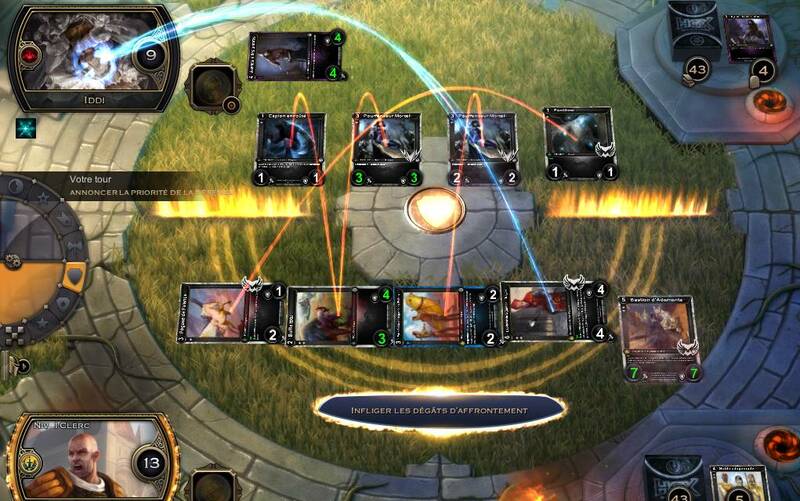 Fantasy themed collectible card game - Embark on a magical adventure in Hex: Shards of Fate, a free to play collectible card game with fantasy RPG elements and a vast online community. The fantasy world of Entrath has been ravaged by war for two millennia between the forces of the Underworld and the surface dwelling alliance, known as the Ardent. After no clear victor emerged, and both forces refused to admit defeat, an ongoing stalemate has ensued for the past two hundred years. This stalemate has been littered with occasional skirmishes and short periods of fighting, but in comparison to the previous conflicts, life on Entrath has been mostly peaceful... Until now! It is up to you, as a champion of your chosen faction, to collect and develop a powerful army of trading cards, in order to complete quests and accomplish the longer term goals of your alliance. A rich and immersive Fantasy themed trading card game. 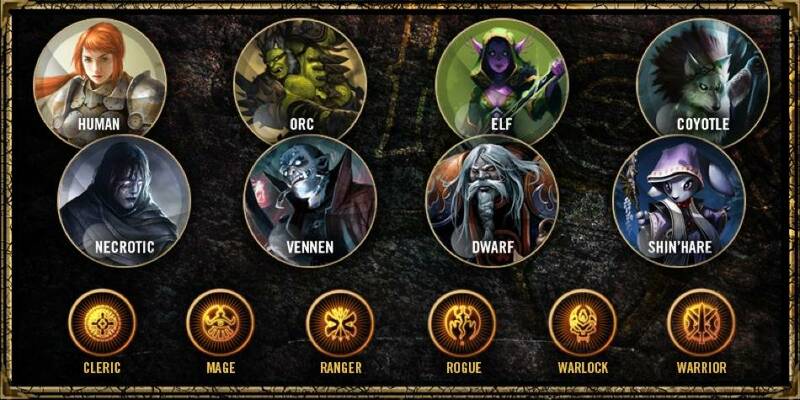 Choose your own champion, from one of six classes, out of the eight races engaged on Entrath. Engaging and imaginative story-driven campaign with countless side quests and opportunities to explore. 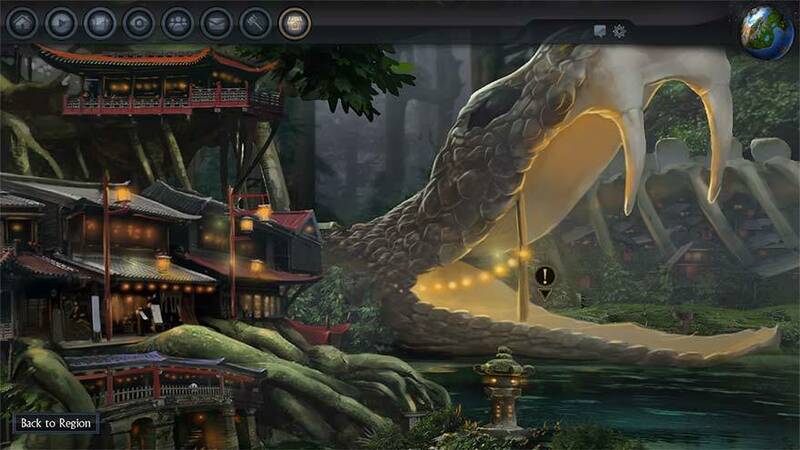 Thriving online community with options for PVP battles, tournaments and a trading portal. 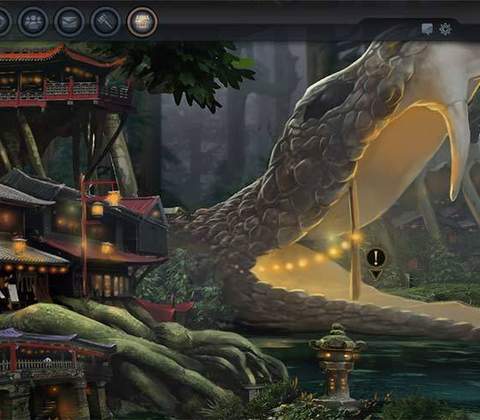 Upon entering Hex: Shards of Fate's campaign mode, players are introduced to a story based tutorial, which aims to demonstrate the combat mechanics in small, manageable chunks. 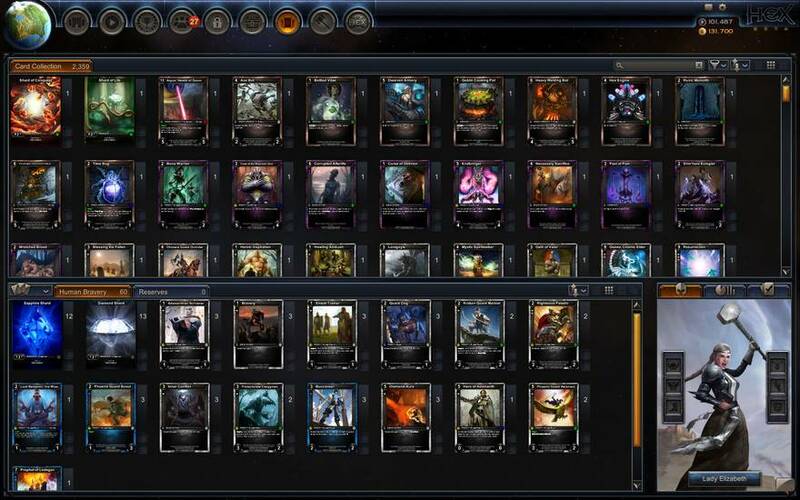 For newcomers to the Trading Card genre, this will be a welcoming feature, as there is certainly a lot of information to digest. The tutorial takes place over five battles, which are separated by brief, text and image based character interactions. These sequences help to set the scene for events which are about to follow and the accompanying artwork is perfectly suited in that it doesn't distract the player from reading the onscreen text. Each battle in the tutorial introduces new elements to the game's turn based game play and does a good job in explaining everything thoroughly but not in so much detail that you are bored to the point of giving up! 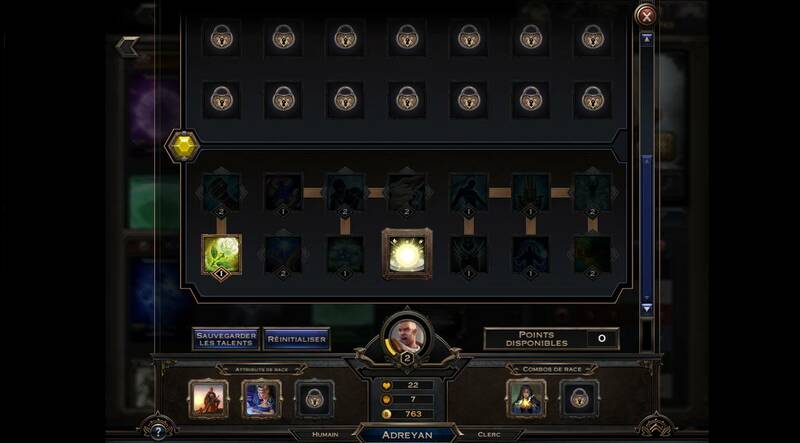 Once the tutorial is completed the player gets the opportunity to select their own Champion, who will be their playable character for the remainder of the campaign. You get the choice of one out of eight races, which are further sub-divided into six separate classes, each with their own particular skills and weaknesses. One further task is to decide upon a worthy name for your Champion, preferably one that will strike fear into the hearts of your foes... like "Terrance". It is at this point that the campaign begins properly and the text bombardment begins. Whilst discussions between characters are necessary to develop the story and explain to the player what they are required to do, at times it feels like there are some unnecessary passages of text and you may be clicking your mouse to skip through these over and over again. 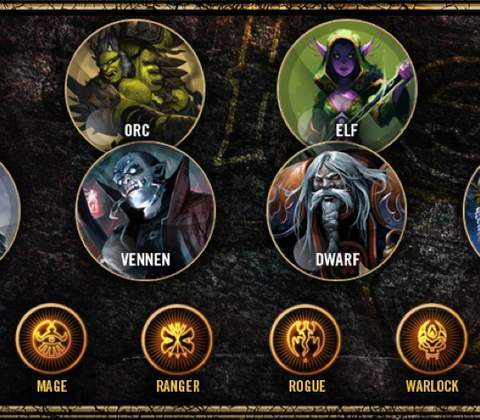 Players are spoiled for choice with 8 unique factions available. The campaign takes the form of an on screen map which progressively reveals new locations as you venture further into your given quests. You get the overall impression that the campaign is going to be big... very big, as there are a dizzying variety of upgrade options as your Champion gains experience and levels up "RPG style". 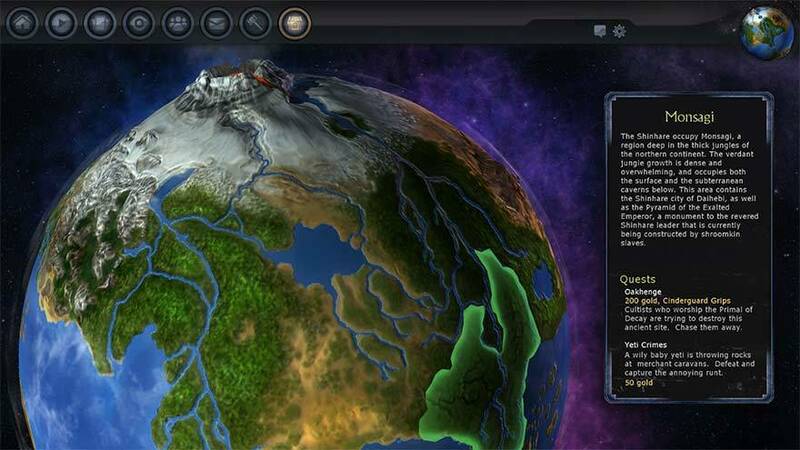 At this very early stage in the game it is probably a hard task to feel comfortable with your basic level of knowledge, and despite the tutorial's best efforts, the next few hours may continue to be a steep learning curve. As you wage war against the undead horde, which includes evil rabbits among other delightful nasties, players will more than likely find themselves in the combat screen more than any other. You can tell that a lot of thought and planning went into the combat process, everything is laid out clearly with minimal clutter and the key bits of information, such as player stats, are easily readable. 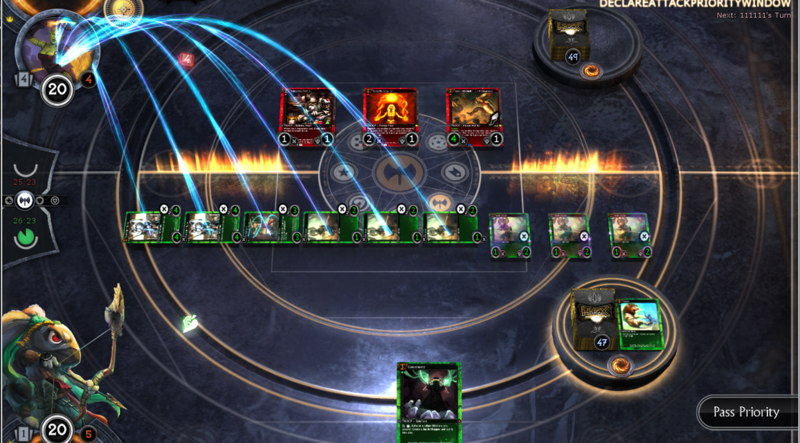 The combat round is entirely turn based and each turn is divided into phases. 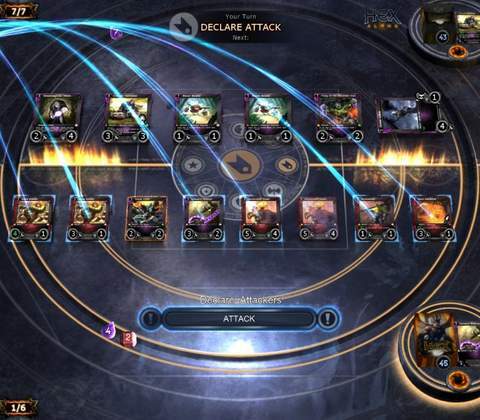 Each player gets chance to bring cards to the table at a cost of resource points and use action cards to enhance the abilities of your chosen cards in preparation for the combat phase. 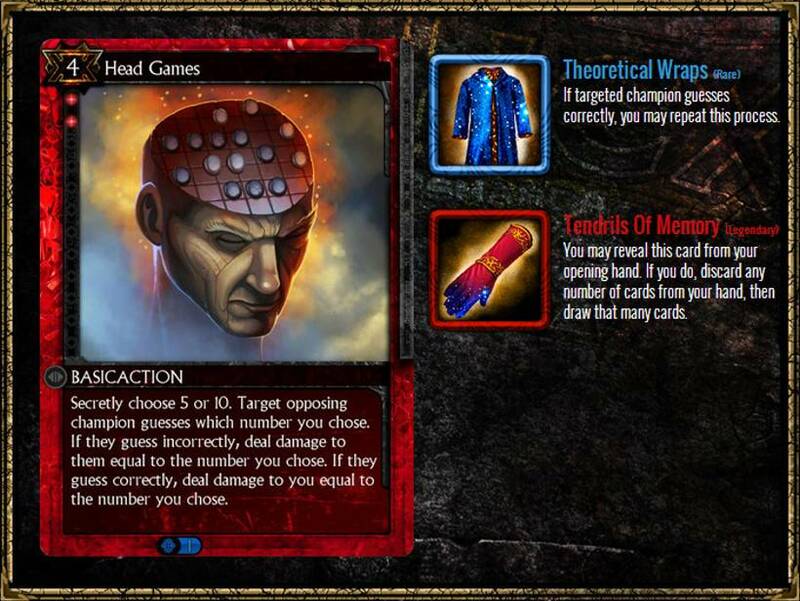 Resource cards are essential to successful combat, as without them you are unable to bring your cards to the table or complete actions. Whether you draw any resource cards is all down to luck and there are times when you are left unable to act due to not having enough resources, which is frustrating to say the least! Once your troop cards are in play you get the opportunity to attack your opponent and hopefully deal enough damage to claim victory, which is achieved by reducing their Champion's hit points to zero. Unfortunately it isn't as simple as that and this is where the vital element of strategy comes into play. If your opponent has their own troops in play they can elect to block your attack with one or more of their played cards. 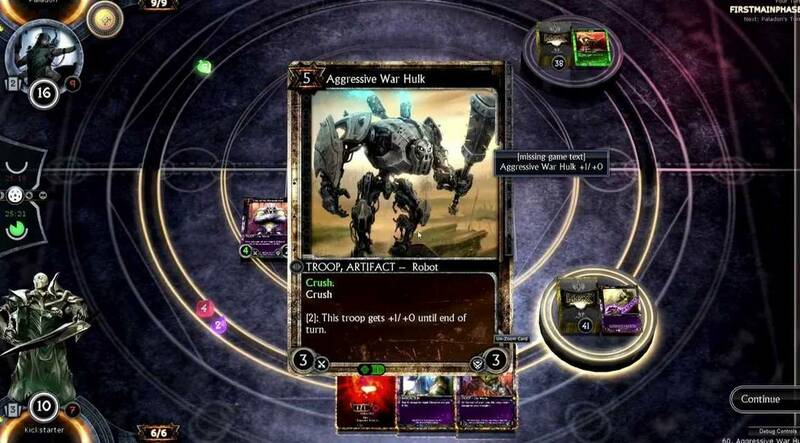 Depending on how your stats match up this can end disastrously for either your own or your opponent's card(s). Of course the opportunity to block attacks is not just a privilege enjoyed by your enemies, you can easily turn the tide of an enemy attack by blocking with your own troops. The combat system is simple enough to get used to fairly quickly, however it is not going to work for players who simply want to rush through each battle. Some tactical planning and strategic thinking are necessary, especially when it comes to managing resource points and enhancing troops with Quick Action cards. This in no way detracts from the enjoyment of battles, in fact it was a welcome addition and will no doubt extend players' interest in the game as they develop their own techniques. 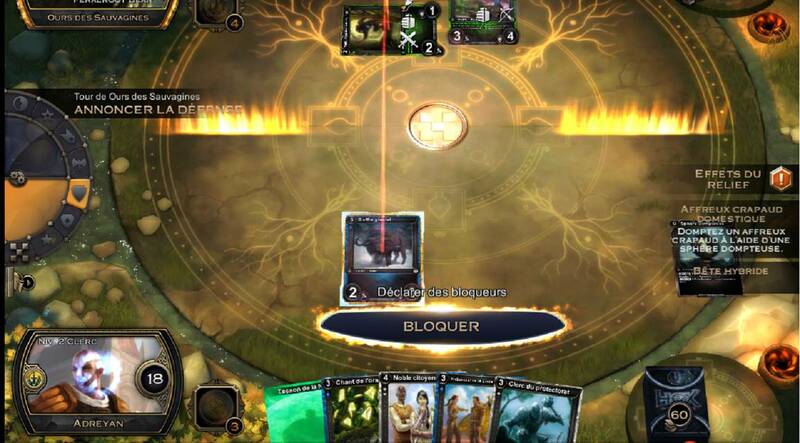 Whilst fans of Trading Card games may be accustomed to this pace and style of game play, it may start to become boring and repetitive for newcomers to the genre. Hex Shards of Fate is an ideal game to fill an hour or two with some gentle, non-demanding gaming, when you want to take a break from the intensities of other fast-paced MMO titles. The visual style of Hex: Shards of Fate is simply beautiful. Atmospheric images of the various locations on Entrath set the tone perfectly, you really get a sense of how it would feel to be in your character's position. The cards themselves also feature some gorgeous artwork and the fact that you can enlarge the view of each by simply right-clicking them means that you can spend a considerable amount of time just admiring the images. The game is accompanied by a well matched soundtrack, which switches from epic to subdued, emotionally stirring or simply atmospheric. The style is to be expected from a Fantasy themed game, however at times the background music sounded like it had come straight from children's favourite Animal Jam and became quite repetitive. This, however, is not a major issue with the game and overall the visual style and soundtrack compliment each other perfectly. Overall, Hex: Shards of Fate is a visually pleasing experience, with a whole plethora of character development and customization options to keep you coming back time and time again. 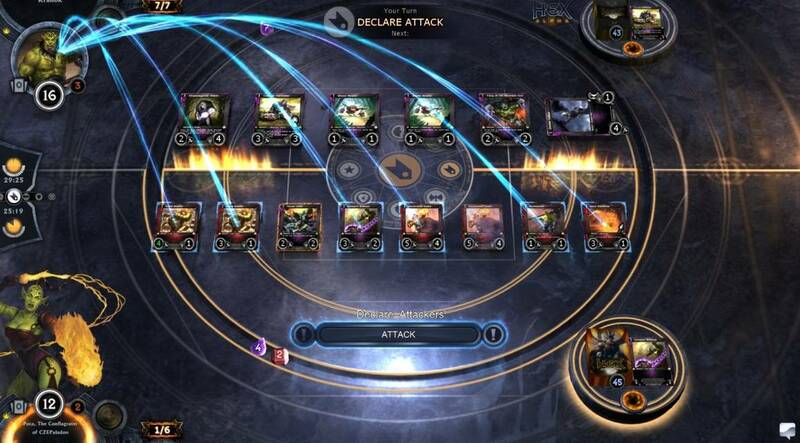 Whilst the campaign feels very much focused on the single-player PVE experience, there is a buzzing online community which only further enhances the play-ability of the game through PVP tournaments and card trading marketplace. 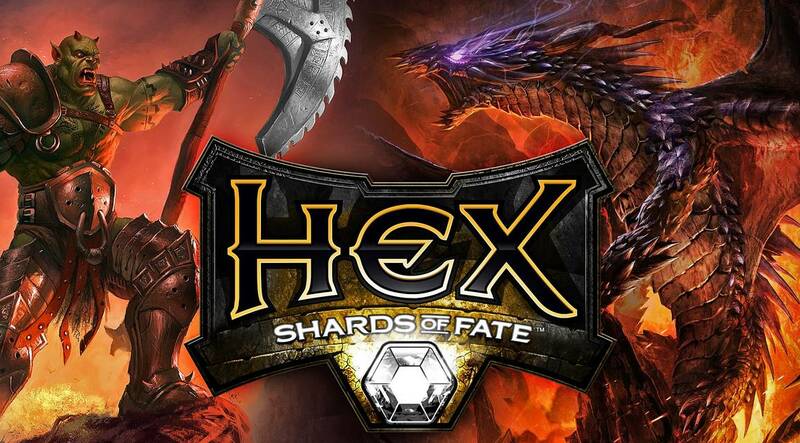 Seasoned players of the Trading Card genre will no doubt enjoy many aspects of Hex: Shards of Fate and the inclusion of RPG elements is certain to lure further interest from players who are new to this style of game play. 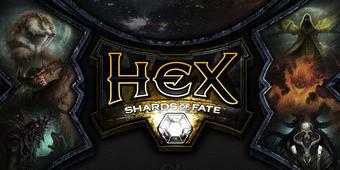 Ready to enter the world of Hex: Shards of Fate? Click here to play now! The mechanics of collecting cards and fighting battles based on Attack and Defence statistics harkens back to the days of Top Trumps and popular childrens' shows like Yu-Gi-Oh. Where this game stands out in originality however, is through the richly immersive history of Entrath and the warring factions. No pressure to spend real world money. Quite repetitive after a while.